Has Pope Francis Got A Genuine Picture On Sri Lanka? It is heartening to note, in his statement made after the meeting with the Bishops’ conference of SL, that Pope Francis has drawn attention to the victims of violence and war. Among many words of wisdom found in the statement, I am very much touched when he notes that the “poor should not be forgotten and inequality not be permitted to grow”. I guess one of his priorities for Sri Lanka is the “elimination of violence”. Indeed, the cause for emergence and prevalence of violence in Sri Lankan society is the “increased economic development”. Such development cannot be achieved without “exclusion and inequality in society”, which is a kind of unceasing violence inbuilt into the system of governance and politics. In Sri Lanka violence takes various forms such as cultural, economic and also political. From his statement we can observe that Pope Francis seems to be well informed about the cultural violence that is prevalent in the country due to ethnic war and “religious extremism”. However, I wonder whether Pope is sufficiently informed about the fact that cultural violence in Sri Lanka is often a political tool made use of by those engaged in power politics to legitimize their positions. The perpetrators of violence caused by the elements of religious extremism have never been brought before the Law. Hence it can be concluded that even religious extremism seems to be sponsored by those who wield political power. Amidst this controversy there is also an effort on the part of the Church and governing authorities to invite the Pope to Sri Lanka. His visit, if happens as planned, will be another cultural event that could be used by the current regime to justify its image before the masses now marred by years of violence inflicted on people. On the other hand, if Pope decides to visit Sri Lanka the event ought to become a source of strength to the victims of violence and never let it be a source to legitimize the perpetrators of violence. Pope also speaks about economic development that Sri Lanka has achieved. The violent character of economic development can be seen in the way the wealth is distributed. According to an official data the richest 20% of the Sri Lankan society enjoys 54% of our national wealth and the poorest 20% is left with only a 5%. The 18th amendment to the constitution is another instance of exclusion. The creation of a system of executive presidency in which all power concentrated in one person is a form of political violence where the principal equality is ruthlessly undermined. It is known that Pope Francis has won recognition not only among the Catholics but also among those non Catholics as a world leader who is more than capable of contributing towards making our world more just and humane. He does so by motivating the Catholic community which has been called to be the “leaven in the midst of humanity”. Whether Pope Francis visit Sri Lanka or not, the Catholic community can be enriched by Pope Francis’s pastoral advice and guidance. Nevertheless in order that his teaching to become more relevant and contextual, the Pope has to be presented with a genuine picture of the socio, economic and political realities affecting the life of a larger majority of the population. 1. When you post a comment u keep on refreshing the page until the comments are published. I think only comments which gets published is the ones you do while referring to your English night classes. Note – This ‘ding’ & ‘dong’ has a nice story behind it, I am waiting for the right opportunity to showcase your talents. Maybe u know what I am talking about. Ohh I would like to remind you, your 3/4 talk does not effect me at all. I am sure you get much lower than that but CT is editing them out. Why cant you get your thoughts across without degrading others and by doing that degrading your own religion and society. Somehow I feel you are a better person than this. Please translate and publish in the Sinhala press to educate Sinhala Modayas who on May Day which is a day of LABOUR RIGHTS, acted as if it was the day to celebrate Sinhala Nationalism and turn Mahinda Jarapassa into a saint! The SLFP May day parade in Colombo was pathetic – full of posters of Jarapassa and his corrupt Ministers and no talk of FAIR WAGES etc. Sinhala Modayas are so foolish and gullible and think that their corrupt and criminal President, his family and Cabinet of corrupt clowns are GODS! much belated to address itself to the realities of Country’s impasse. nobody else wil.My thanks and respect to Rev. Fr. 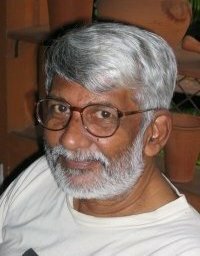 Sarath for his views and observations.God bless. Many thanks for this excellent analysis Fra. Iddaamalgoda. The Pope should boycott Mahinda Rajapaksa’s regime and go to Sri Lanka some other time..
We need a campaign to BOYCOTT the UN World Youth Conference which is being used by Namal Jarapassa and his cronies to enhance their power and for the Pope to BOYCOTT the Rajapaksa regime. Pope Francis has experience been silent during the horror years in Argentina. Cadinal Malcolm Rangith has superb track up front record defending the Rajapkas regime. So one shouldn’t be too surprise Pope Francis is contemplating a visit to Sri Lank on the recommendation on good Cardinal. Fantastic photo opportunity for Rajapaksa family. Gotta set things in motion by presenting the Pope gift from Sri Lanka in Vatican. We really don’t need the head of a small mono-religious dictatorship in Europe to tell us how to behave. We have our own dictator. RE: Has Pope Francis Got A Genuine Picture On Sri Lanka? “Among many words of wisdom found in the statement, I am very much touched when he notes that the “poor should not be forgotten and inequality not be permitted to grow”. I guess one of his priorities for Sri Lanka is the “elimination of violence”. Let’s see where the Problem lies? Another complaint (No. 30121) has been lodged at Mawarala Police regarding the second assault by the Matara Organizer of the All Ceylon Estate Workers’ Union Sinnasamy Alexander. Two people living in Moolatiyana Estate at Matara have been severely assaulted by thugs directed by an organizer of UPFA who had been enraged as the workers in the estate participated in the JVP demonstration and May rally without participating in the UPFA rally. One of the thugs that took part in the attack is an organizer of the SLFP estate union. Bandusena Samaranayaka, the organizer, who is a purchasing officer of the Moolatiyana SLTB Depot, had gone to the Moolatiyana Estate in a SLTB bus to get the estate employees participated in the UPFA May rally. However, the employees had already left to participate in the JVP rally. Samaranayaka, the thug, had been enraged at this news, assaulted a person he had come across and attacked several houses in the area. The victims had lodged a complaint (No. 43813) at Mawarala Police on the 2nd and when Samaranayaka, the thug, came to know about this, he had assaulted another person on the 3rd thinking he too had participated in the JVP rally. However, the victim had not participated in any rally. BEFORE POPE FRANCIS GET A GENUINE PICTURE ON SRI LANKA HE NEEDS TO PUT THE CATHOLIC CHURCH ON THE CORRECT PERSPECTIVE…RID OF ALL ROGUE CLERGY AND COME OUT WITH THE TRUTH……..
IS THE CATHOLIC CHURCH MISLEADING THE FAITHFUL THOUGH HER CLERGY?? John XXIII was the title of the infamous “anti pope” in the 15th Century……….similar to S.J.Emmanuel who is detested by the non gullible Catholics. He was and is the “BEAST” of the Catholic Church in Sri Lanka. With the demise of Pope Pius XII, John Cocteau was the Grand Master of Priory of Scion who himself had the title of John XXIII. When Cardinal Angelo Giuseppe Roncalli was elected Pope he too took the Title John XXIII. Was this to appease the Priory of Sion OR was the Pope too a member of the Priory of Sion OR he agreed with the beliefs of the Priory of Sion that he took the same title of a former anti – pope which was an anethema to the Vatican & the Catholic Church? The Appostellic letter issued by John XXIII in 1960 has reveresed many positions held previously by the Catholic Church. Ah…… ha…….. in such a scenario this opportunistic scum equated the status of a ruthless terrorists name Prabakaran to that of the Great Redeemer. Despite such comparison being exposed in the British News Papers the LONDON TIMES and INDEPENDENT, the Vatican & his ecclestiastical superiors in Sri Lanka as well as those in the Bishop Conference in Sri Lanka remains DEAF & MUTE & the gullible Catholics are ready to worship Prabakaran. It would not be a surprise if a Church of Prabakaran is formed and scum S.J.Emmanuel become its Pope for the Tamil worshippers of Prabakaran. IT IS UNFORTUNATE GOD & THE CATHOLIC CHURCH HAS TOLERATED TODATE FOR MAKING SUCH A SACRILEGE STATEMENT. This remorseless megalomanich S.J.Emmanuel appear to be In the eyes of the Catholics, A BEAST & A scum of an Emmanuel who made such a vile comparison of a ruthless terrorists to that of the Great Redeemer venerated by millions throughout the world. What the Pope John XXIII GAVE this rascal the new Pentecost on his last birthday for his time remains a mystery as his dark logical conclusions by his subversion of historical realities. It is to amazement of the Catholics that such a heretic has not been brought to book by his ecclesstiastical superiors ranging from local Bishops & by the Bishop’s conference of Sri Lanka. Lo and behold,by the Bishop’s conference of Asia of which Emmanuel the scum was a Theological advisor. Wonder whether the advice was LTTE Tiger ideology. Despite of the Vatican Council 2 conducted by John XXIII, the Vatican & the Catholic Church continue to pull the wool over the FACES OF THE faithful by hiding the truth and thereby permitting scums like Emmanuel to run amok & remain in robes and use the Church for terrorists activities in Sri Lanka. Has Emmanuel blackmailed the Vatican & The Church that he is yet at large & thereby permitting other Bishops & Clergy in Sri Lanka to pursue activities and indulgences he propagated ? Good article, makes sense. It is sad Malcolm Ranjith despite his position and full knowledge of the truth has chosen to be the mouthpiece to promote the regime and to suppress truth. He held a meeting with the US embassy persuading them not to push hard on the “war crimes” issue. More recently he issued a statement once again containing inaccuracies and supporting the regime. He was in the vatican and it was not considered a promotion and then sent to Philippines, but managed to weave himself back to position of authority. Sadly he has not used his position to speak the truth on the real situation in the island nation. I respect the likes of Father Idamalgoda and Rayappu are men on integrity and men of courage. You are men of honour and will be rewarded by God for your honesty. Vsatican has a humongous bank and owns business enterprises. Yet how much of that money is going to help the poor. Only thing they do is collect money every day and most of that money goes to convert from Africa, Asia and muslims countries. Who went behind the forces who invaded Afghanistan, Iraq and other islamic countries ? yours is one of hora oru slaves with the borrowed yellow saree trying to hoodwink the world that you are a original entity when you are simply – counterfeit badu. What Pope Francis had told is very political, selfish serving his own purposes that is to spread his religion at the expense of the buddhism. What he had said is not worth for a religious leader. It is because, that that the Catholic Religion is not one began by JEsus and it was begun by the ROMAN EMPIRE as a way to popularize their rule and to get votes from the Romans. Jesus who was a humanitarian was considered a traitor to the Kingdom so he was punished according to the accepted punishment for the traitors. Later, when they found this underground movement is too popular Roman empire created a religion out of that. Pope Francis would have better served to the humanity if he made an open declaration why United Nations is talking to the Vatican about the world wide sexual abuse problems by the Catholic Church priests and why the Vatican tried to hide the problem and to neglect those affected ? Are that kind of crimes too the Almighty’s wish ? soft brain softy, you forgot to mention those shaven, yellow robed thugs who have been abusing all those male novices in the temples and innocent village girls in the country. The BBS has also expanded this activity to cover boozing, murder, pillage and looting. The covering of adolescents legs with robes has brought out the beast in these animals. My advice to you is do not visit these monks at night, you could be in a for a pleasant surprise. The RC Church was admired when it did not get involved in politics. Yes it has the right to speak on behalf of the poor and downtrodden however this is irrespective of ethnic, cast, and creed differences. Unfortunately today the likes of Rayappu, Emmanuel, Saundranayagam and some Tamil clergy have made the Catholic church the scapegoat for the vilification it suffers as LTTE terror dog supporters. Cardinal Ranjith is to be blamed for allowing them to defame the church without banishing them from the RC church and asking them to form the ‘Prabhakaran’ church and leave the vestments so that Sri Lankans can show them the way to the heaven at Nandikadal. 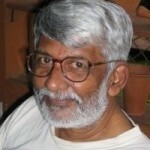 Fr Iddamalgoda should keep his personal opinion without getting embroiled in politics.